The French president made the error on a three-day state visit to Japan. FRANCE’S FRANCOIS HOLLANDE was left red-faced in Tokyo on Friday after a slip of the tongue that saw him confuse his Japanese hosts with the Chinese. The president, who is in Japan on a three-day state visit, made no attempt to correct his mistake. A quick-thinking female interpreter fixed the verbal gaffe as she gave her simultaneous translation, rendering the sentence as it had been intended. However, at least one Japanese journalist with knowledge of French picked up on the error. Relations between Japan and China are frequently testy, clouded by differences over history and coloured by a territorial dispute. Polls in both countries show distrust of the other nation is rife and neither side’s nationals like to be confused with the other. 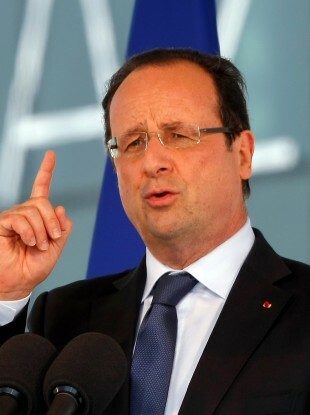 Email “Francois Hollande confuses Japanese with Chinese on State visit to Japan ”. Feedback on “Francois Hollande confuses Japanese with Chinese on State visit to Japan ”.